CAPTRUST Financial Advisors, one of the nation’s leading independent wealth management and retirement plan advisory firms, today announced that Minneapolis, Minnesota based Windsor Financial Group, which provides investment and wealth planning for individuals and institutional clients, has joined the CAPTRUST family. Windsor, a thirty-year old firm with a team of twelve, has deep experience in wealth management and values-based financial planning. “In CAPTRUST we have found a long-term partner that cares about our clients, and about looking after their interests in a fiduciary capacity, as much as we do,” said Windsor Financial Group Founder Tyron K. Estlick. Windsor President David O. Koch, concurs. “A firm with our thirty-year history of doing right by clients owes it to them to find an excellent fit for them above all—not just a good fit for us. We know that CAPTRUST shares our values and passion for our profession, and we look forward to what the future holds,” he said. Founded in 1986, Windsor Financial Group’s fee-only based wealth and institutional focus is a perfect fit for CAPTRUST. The merger will allow Windsor to both broaden and strengthen its menu of services while helping to accelerate its growth. Minneapolis-based CAPTRUST Senior Vice President and Financial Advisor Dan Esch is excited to further expand the firm’s significant mid-western presence. 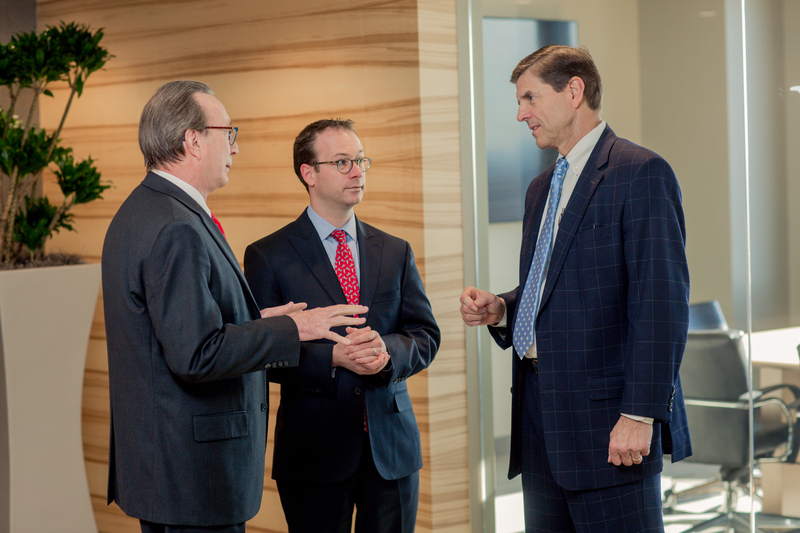 Esch merged DCAdvisors with CAPTRUST in late 2014. Esch said, “Many of our institutional clients are demanding that we bring the same high-quality advice to their executive ranks that we deliver to their company retirement plans. Windsor will help us to do that.” The Windsor merger marks the latest milestone in CAPTRUST’s long-term journey to add top talent in key markets across the country. CAPTRUST offers advisory teams looking for a long-term partner numerous resources that have been proven over time to accelerate growth and add substantial value to the client experience. CAPTRUST’s Institutional business, coupled with wealth management services, offers a decades-old bedrock of stability to joining entities that is unparalleled in today’s independent financial advisory industry. CAPTRUST now has 120 advisors across 30 locations and advises on approximately $210 billion in client assets. CAPTRUST Financial Advisors is an independent investment research and fee-based advisory firm specializing in providing retirement plan and investment advisory services to retirement plan fiduciaries, executives, and high-net-worth individuals. Headquartered in Raleigh, North Carolina, the firm represents more than $210 billion in client assets with offices in Alabama, California, Connecticut, Florida, Georgia, Iowa, Michigan, Minnesota, New York, North Carolina, Ohio, Pennsylvania, and Texas. To learn more, visit www.captrustadvisors.com.